Clear Choice Windows has been in the door and window industry for over 25 years. Located in the heart of Simi Valley, they are proud to be part of the fastest growing window and door replacement companies in the nation! With over 100 dealers across America (and now Canada, Mexico and still growing) it is easy to understand how Clear Choice is so successful in providing for Santa Clarita. With this unsurpassed volume buying power of Clear Choice, they are able to offer top quality, energy star rated, dual pane vinyl replacement windows at an unbeatable value to the customer. Clear Choice Windows’ products are produced 100 percent in the United States! 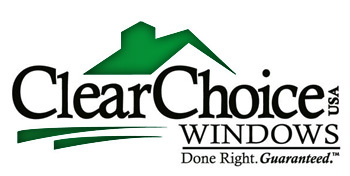 Helping to give any Santa Clarita Valley home a new look without costly remodeling or paint jobs Clear Choice Windows offers a range of great products and services that range from dog doors to garden windows. Adding a new door for our four legged friends or finding a way to give yourself the best view possible Clear Choice Windows is able to help you with their high quality service and experienced staff. Helping you find just the right piece and making sure the installation is able to stand for years to come Clear Choice has a lifetime warranty on all of their products to ensure that you always get just the installation you deserve. Giving your home a new look and feel is easy with Clear Choice Windows. A new sliding glass door for your backyard or patio is a great way to subtly revamp the look of your home with a practical and beautiful new portal to your backyard or patio. The highly trained and experienced staff at Clear Choice Windows will be able to work with you every step of the way from selecting a product to installation allowing you to feel confident about the job in all stages and leaving you with a beautiful new look. Bringing you high quality products and services Clear Choice Windows is one of the Santa Clarita Valley’s premier options for all of your window and glass door needs.